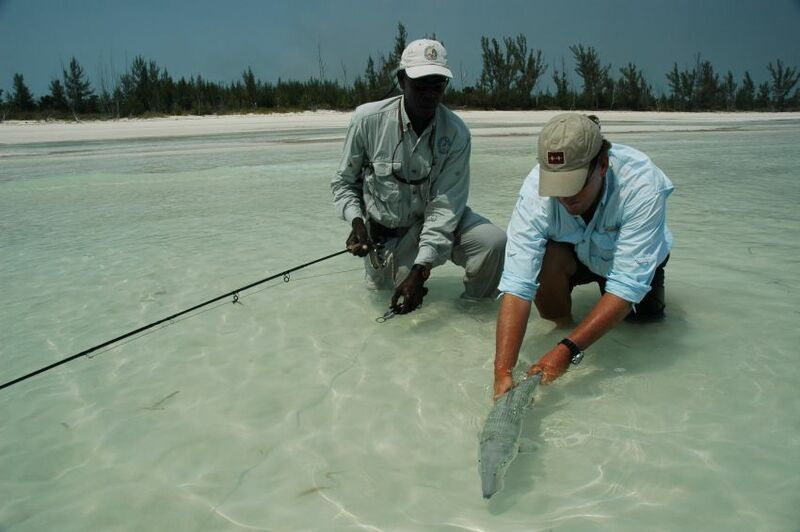 When I tell people there is world class bonefishing around Grand Bahama, they don’t believe me. 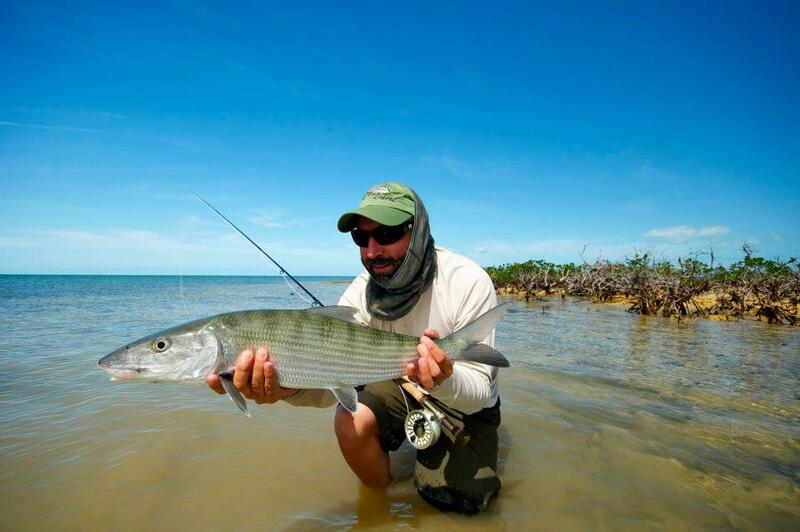 This is a great destination for large bonefish and family members who don’t care about fishing! 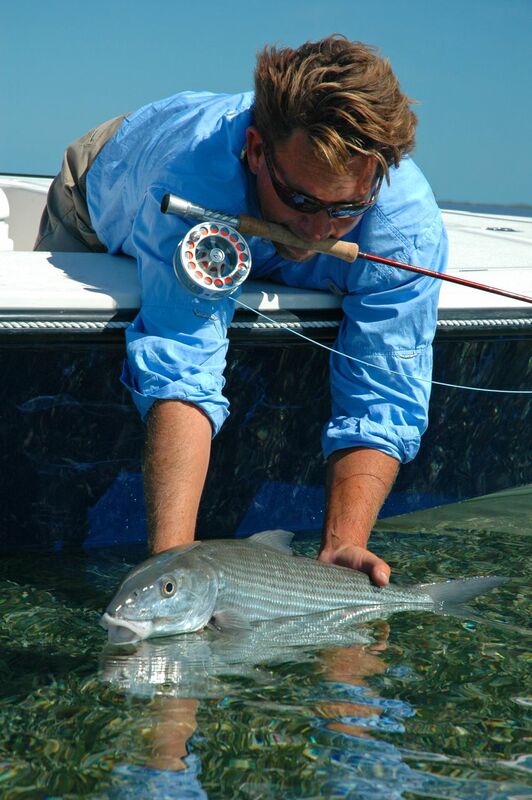 The casinos, golf, beaches and shopping can keep most everyone entertained while you stalk 10 pound bonefish! Grand Bahama boasts some of the most expansive flats in the Northern Bahamas with shallow flats extendinig 25 miles to the west and more than sixty miles to the east of the island. 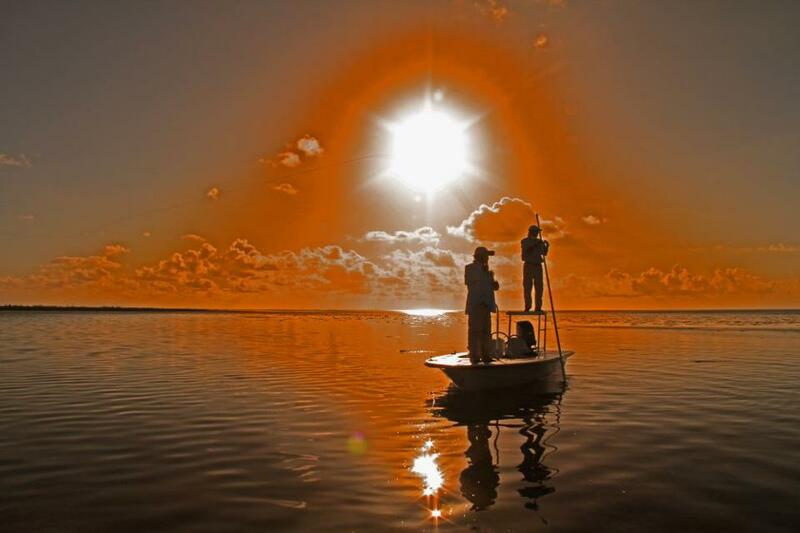 Our fishery is just a part of the 2500 square mile Little Bahama Bank. 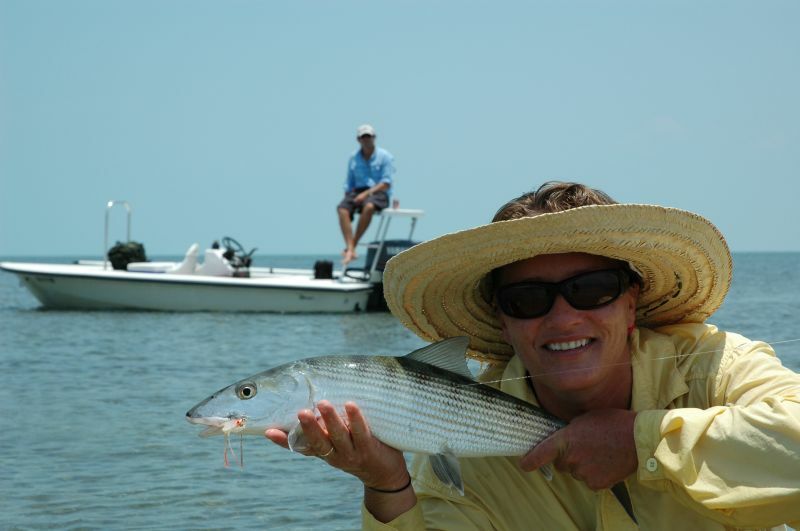 Not only do we have a large area for backcountry fishing but our anglers can enjoy the islands oceanside flats which are well protected and offer miles of white sand, marl and turtle grass flats. 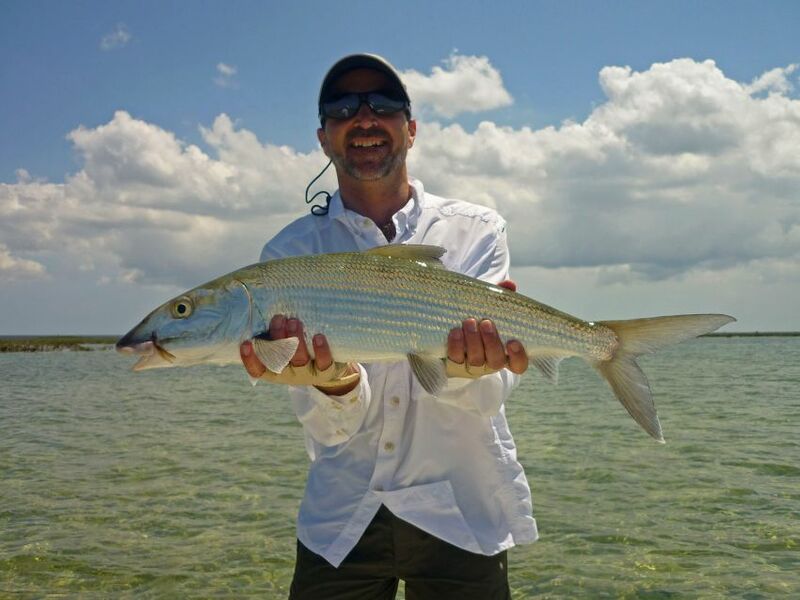 In just 10 minutes you can leave the civilized part of the island and be on a deserted flat sight fishing for bones, permit and seasonal tarpon. 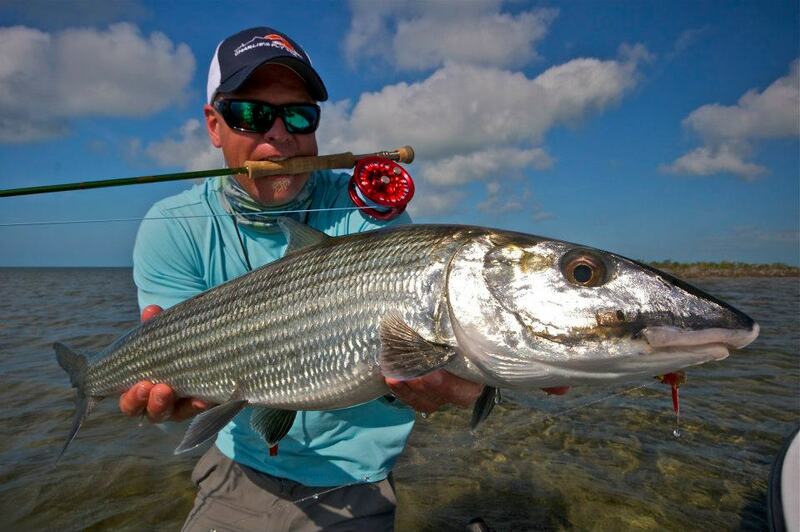 The bonefishing is exceptional with opportunities to cast at larger schools of bones with an average size of 4 to 6 pounds. 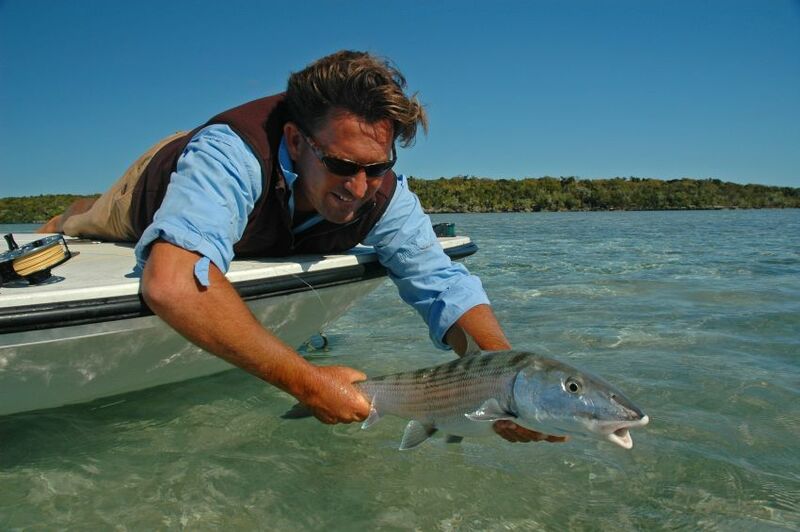 Smaller groups of cruising bonefish can give an angler shots at trophy sized bones. 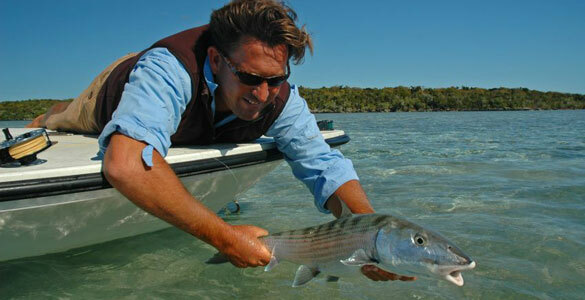 Our club record bonefish on fly tipped the scales at 14 1/2 pounds! 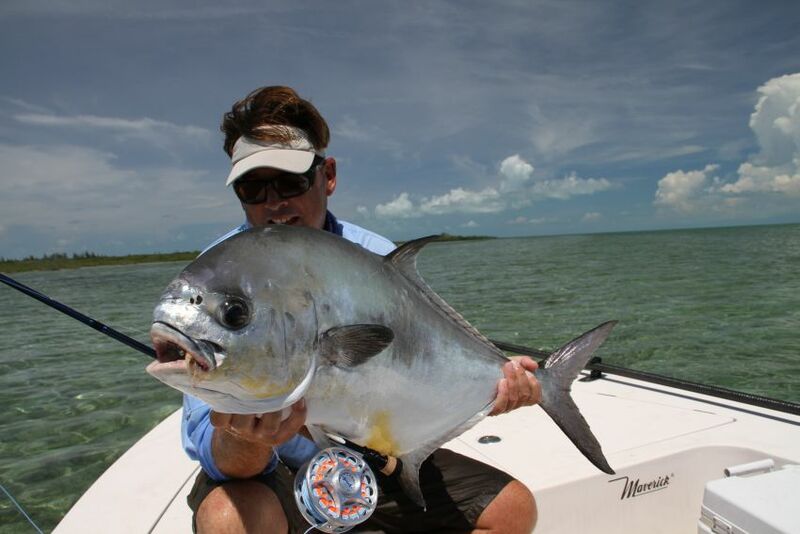 The island flats also hold a seasonal population of Permit and Tarpon. 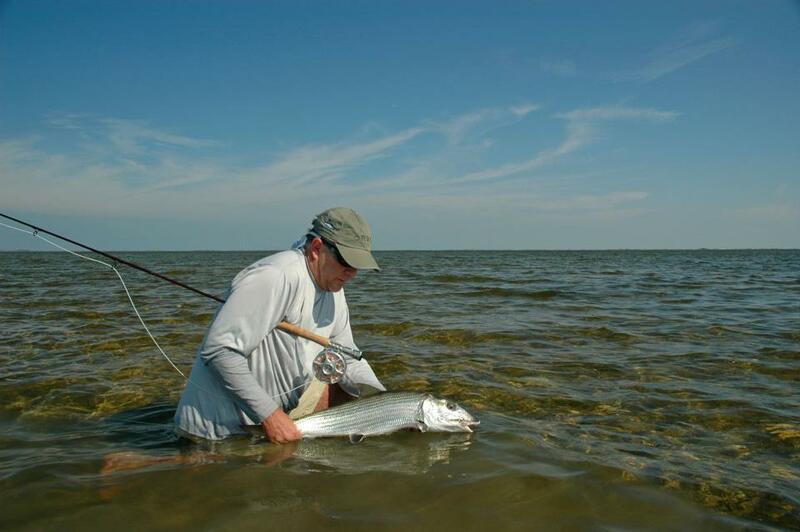 These fish arrive in the spring and stay on the flats until the fall. 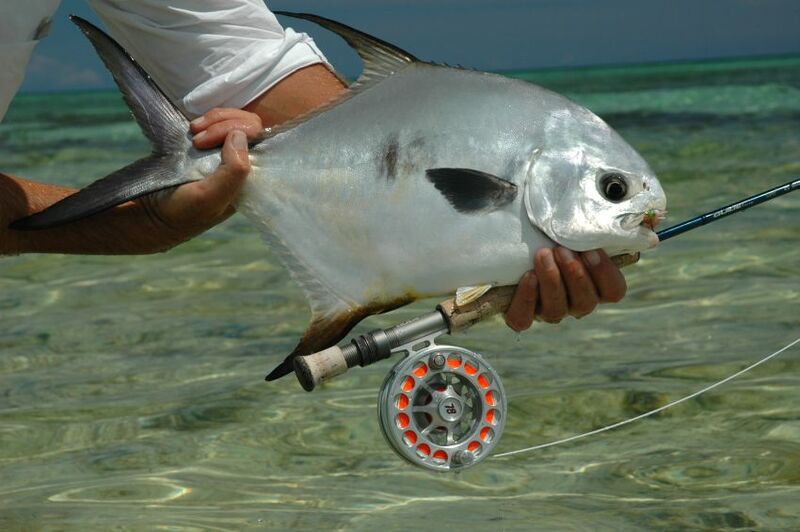 The clubs record for permit on the fly is 38- pounds. 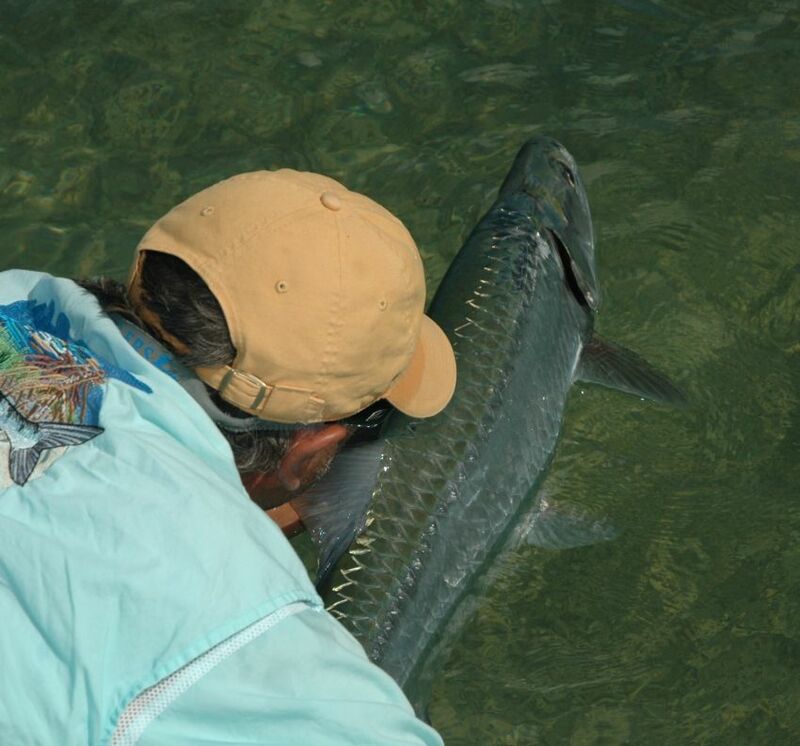 Our largest tarpon to date was estimated at 130- pounds. 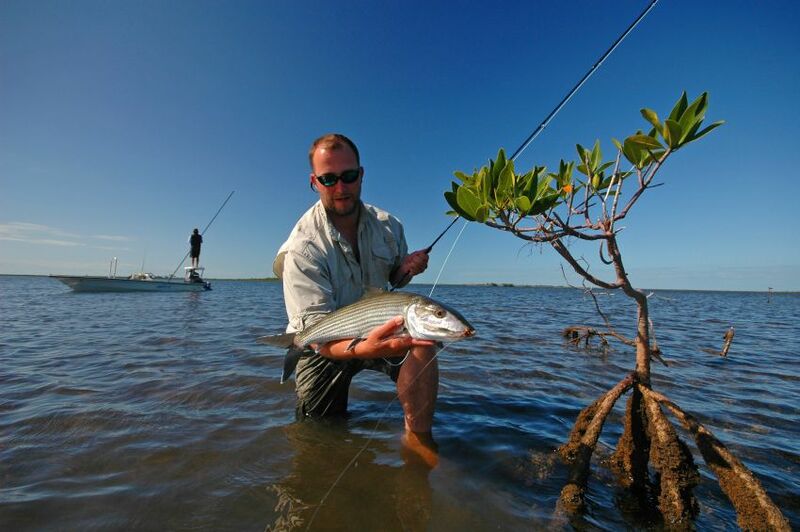 Pelican Bay Bonefish Club’s fly fishing guides work hard to find fish. 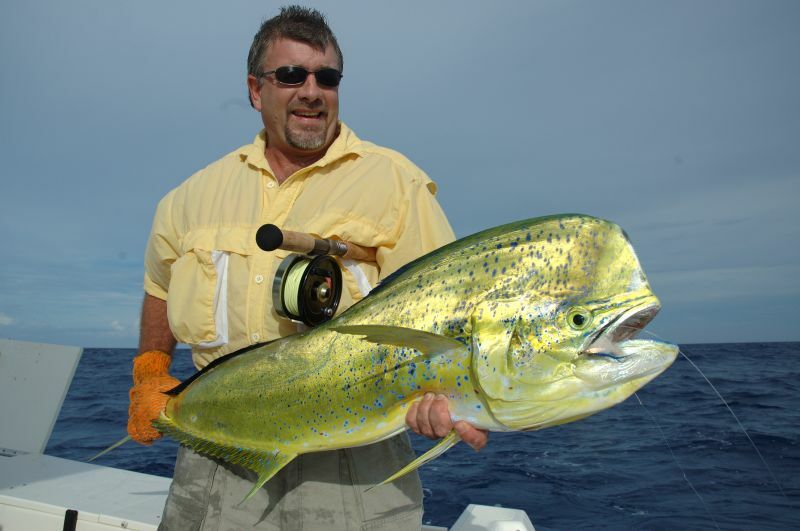 We offer bonefishing on the pristine Bahama flats or venture offshore for some yellow fin tuna, wahoo or mahi-mahi action. 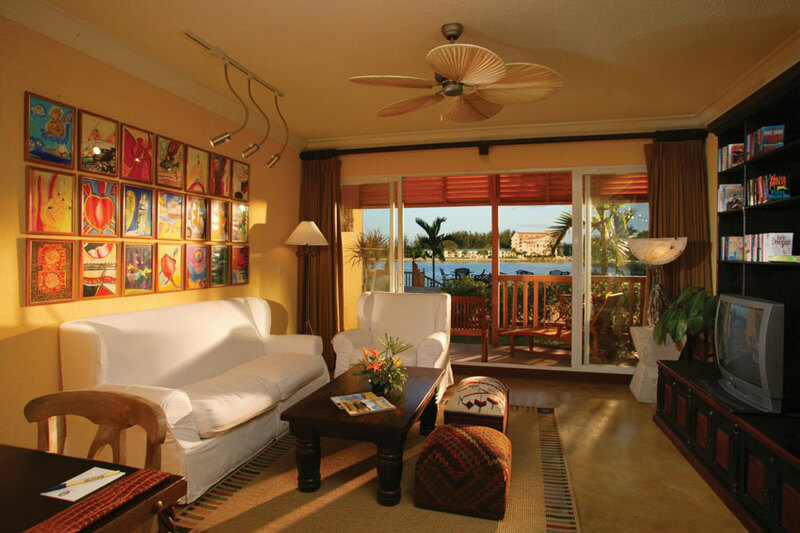 Either way we know you will enjoy your stay with us at Pelican Bay. 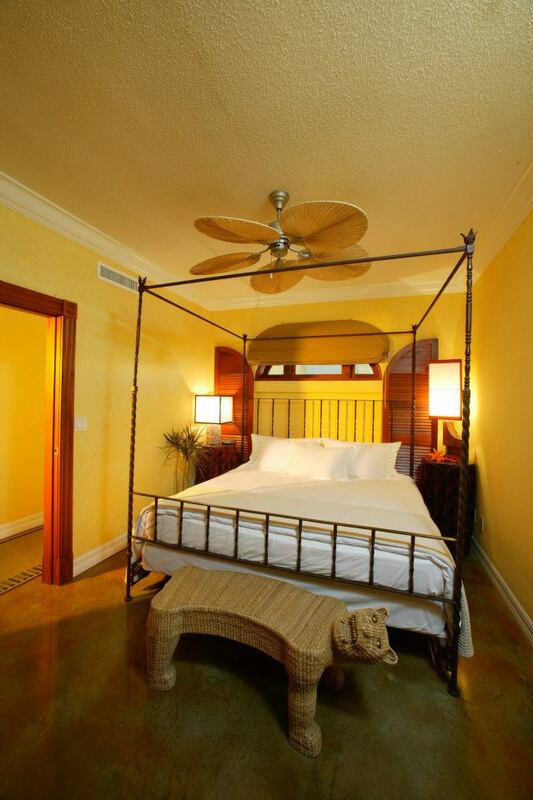 Luxury accommodations at the Pelican Bay Resort are included in our bonefishing packages. Choose to fish just a few days or a week. If you plan to bring along a non-fishing companion, don’t worry, there is plenty of shopping, a beautiful white sand beach, or three pools on the premisis. — Diane Walsl, Blaine Wa. 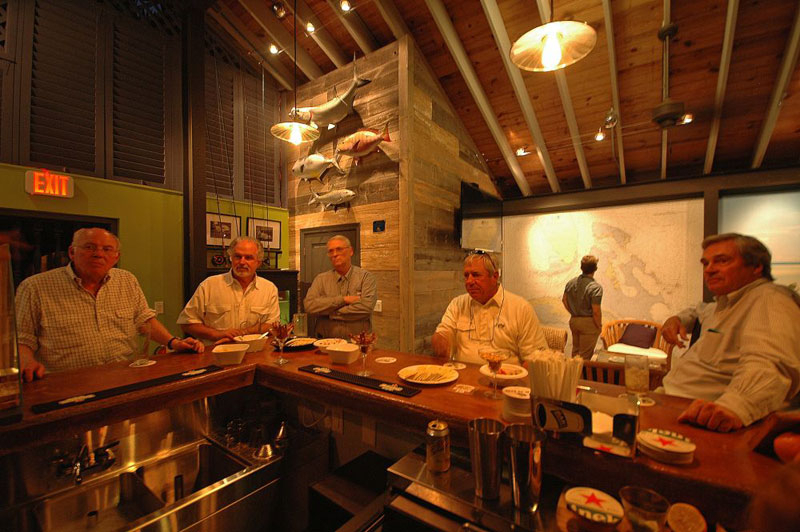 Although our anglers will experience the fishery as a very remote and undisturbed one, this cannot be said for their lodging which is perfectly located allowing all our anglers immediate access to the Islands top restaurants and myriad activities and amenities found within a short walk of their room. Should non angling activities for wives and/or family be a consideration then you will find it very hard to even match this programs ability to cater to them while knowing there will be zero compromise to the quality of your flats fishing. 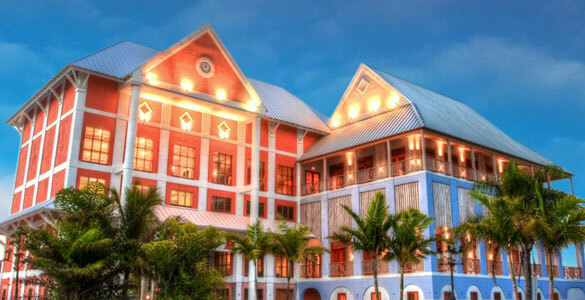 Awarded the prestigious “Small Treasures of the Bahamas” designation by the Bahamas Ministry of Tourism, Pelican Bay Hotel at Lucaya is both charming and intimate. 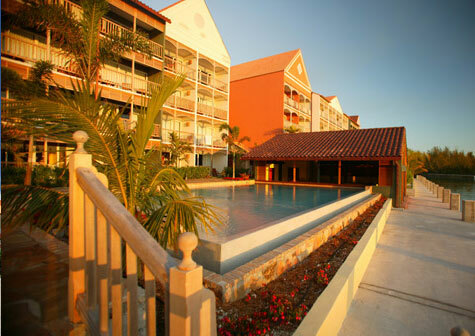 The hotel, designed by Danish architects, incorporates Caribbean warmth and ambiance with sophisticated European design. 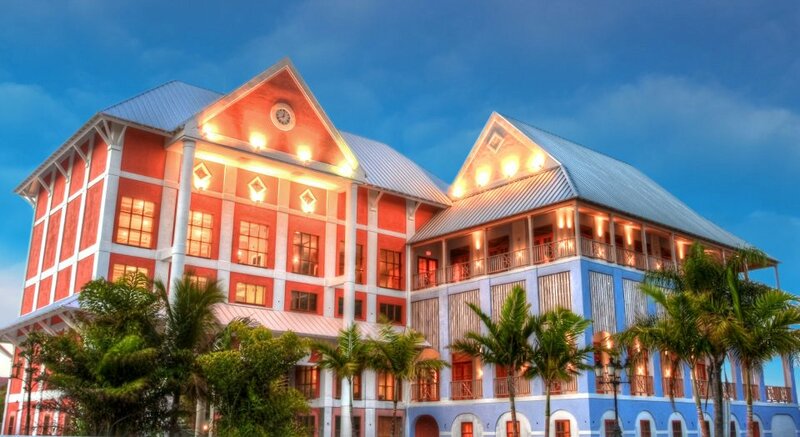 This charming boutique hotel is tucked away on a peninsula, where guests can escape the hustle and bustle, yet close enough to enjoy the shops and restaurants of the Port Lucaya Marketplace, or simply stroll along the waterfront. 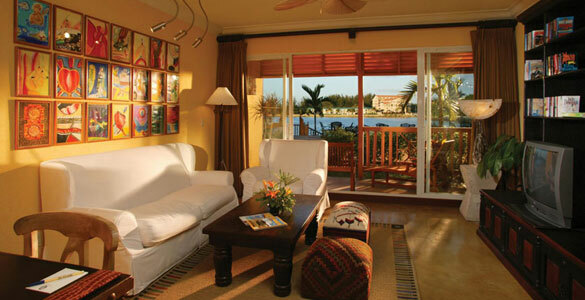 Guests are provided a beautiful waterfront room with their Bonefishing package. 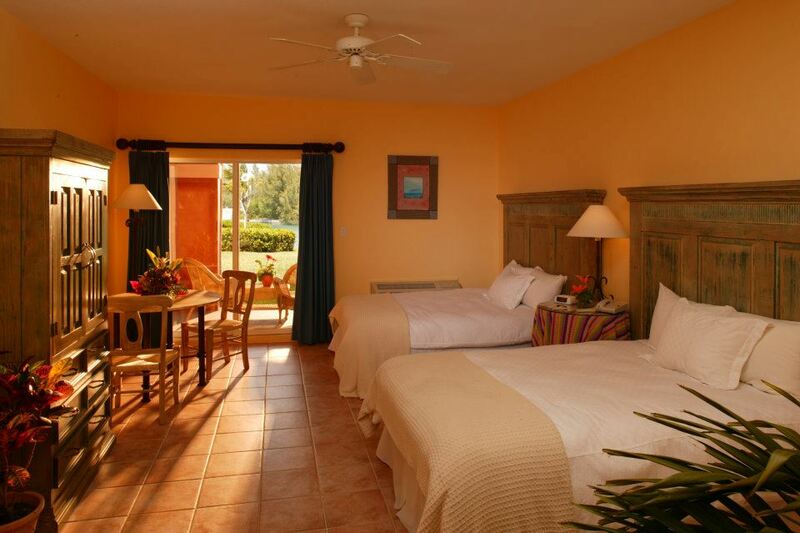 Two separate packages are available to include either a one bedroom suite or deluxe room. Each room can be furnished with a choice of 2 beds for sharing fishing partners or a very spacious King option for couples or single anglers. Cot beds are also available for families as well as pull out sofa bed options for the suites. Satellite TV, direct dial phone, refrigerator and in-room coffee maker. Also available is a business center and wireless internet access for all our guests. 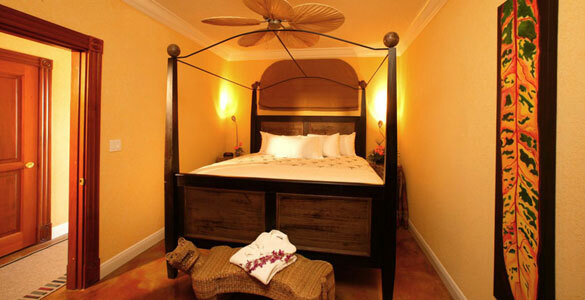 The new one-bedroom suites offer an upscale rooming option with lush tropical gardens and varying color-scheme. Mahogany wood and beautifully appointed custom decor highlight each of the spacious one bedroom suites. 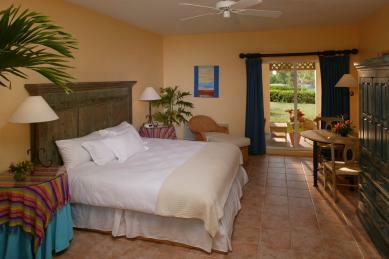 * All rooms are 640 square feet with Italian-tiled floors, shower and tub and private balconies. * Rooms are equipped with two double beds or one king sized bed. 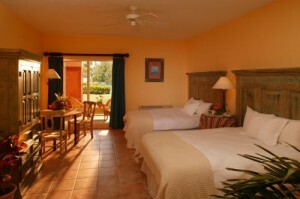 * All rooms are fully air conditioned. * Tour desk on site to accommodate guest requests. 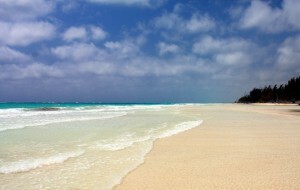 * Use of Lucaya beach, or Ritz beach which may be reached via a short ferry boat ride. 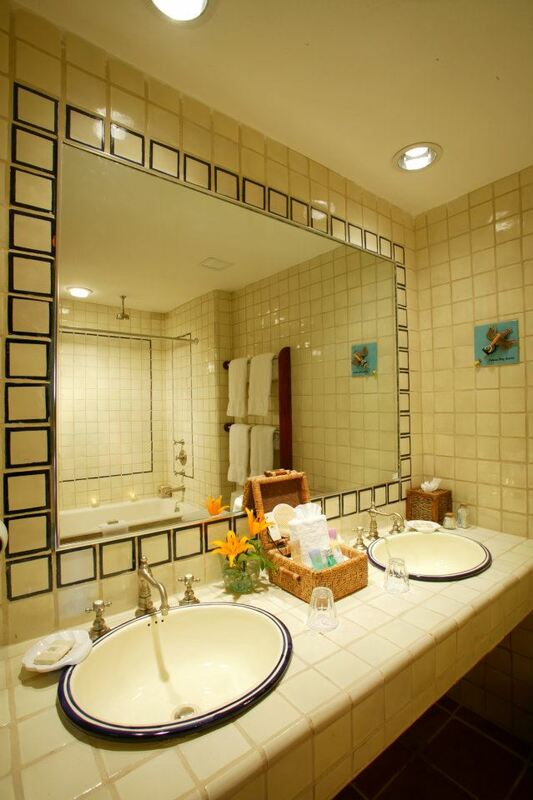 * Each Pelican Bay room is equipped with a coffee maker. Prepackaged coffee is provided each day in both regular and decaffeinated varieties. * Each room has a hair dryer, ironing board with iron, and in-room safe. * In-room baby sitting can be arranged through the front desk. A minimum of 24 hours notice is required. * Complimentary al fresco continental breakfast is served daily from 7:00 am until 10:30 am. * Business Services – We offer complimentary 24-hour wireless internet access, a printer and copier in our business office. 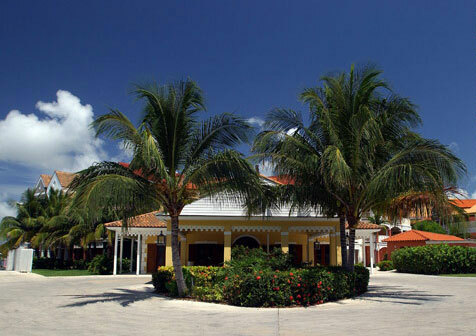 High speed wireless internet access is offered resort wide; a fee applies. 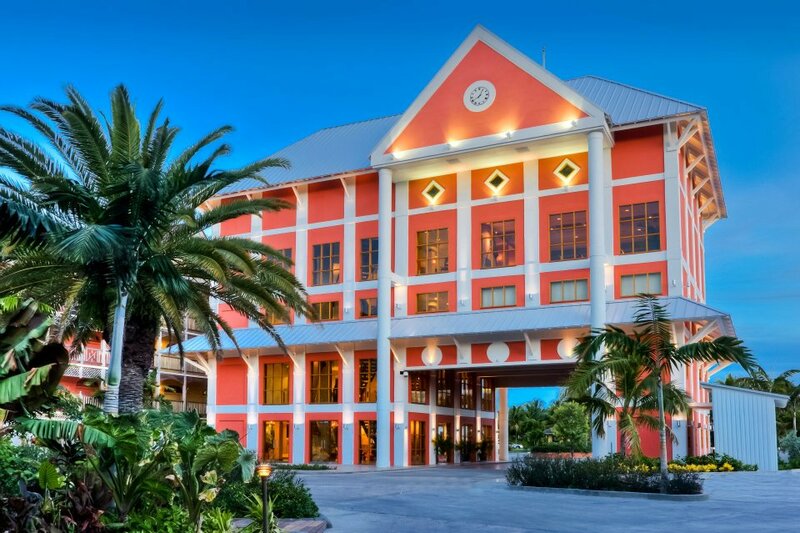 Located within steps of our resort is the Lucayan Marketplace, where you will find over 30 restaurants, bars, shops, and nightly live entertainment to suit all styles and tastes, ranging from fresh island fare to Italian, Chinese and even an Irish Pub! 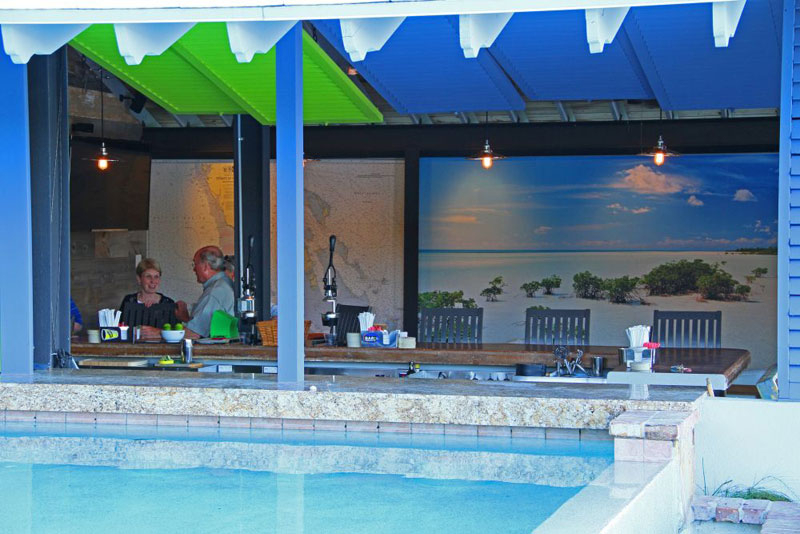 Whatever your palate or your budget, you have multiple convenient choices to select from when you stay with us.The new Sabor Restaurant and Bar at Pelican Bay offers water front dining in a relaxed outdoor setting overlooking Bell Channel Bay and Port Lucaya Marina. 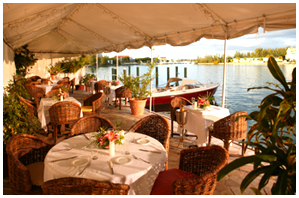 The restaurant is open for drinks each day from 10:00 a.m. till midnight. Lunch is served daily from 11:30 a.m. to 3:00 p.m. and dinner from 6:00 p.m. to 10:00 p.m. Sabor’s new menu feature a wide range of options, including favorites such as burgers and chicken wraps, complemented by a wok bar, and a new Sunday brunch menu offering a variety of eggs benedict items and traditional Bahamian boiled fish. 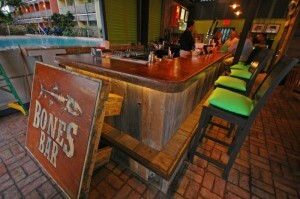 Welcome to our clubhouse and bar ‘ Bones ‘. 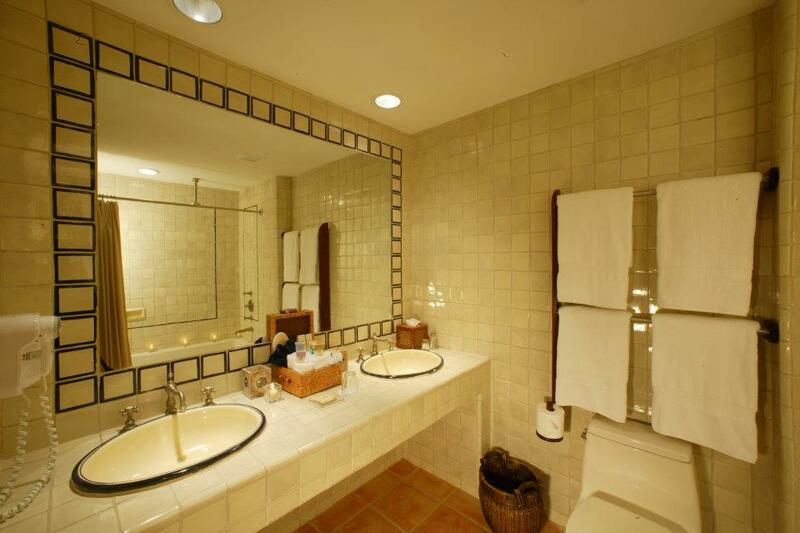 This is located on the property within a few yards of all our guest rooms and is open daily. 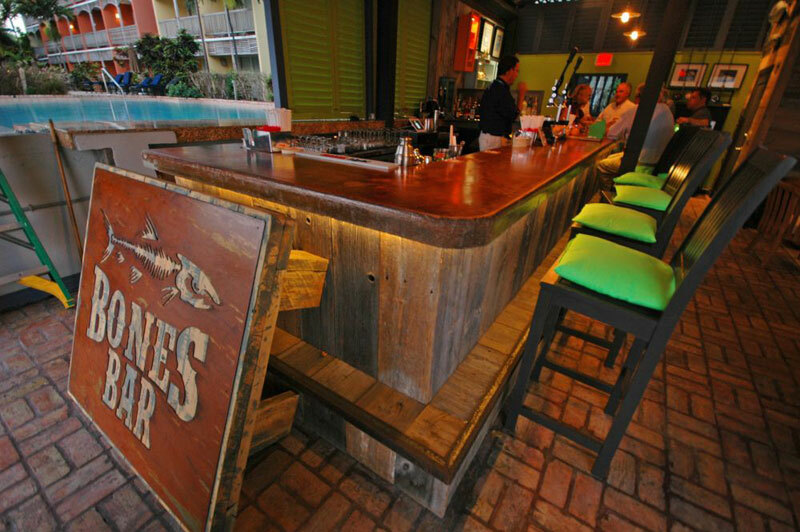 Bones will be our meeting place for all our guests for orientation on arrival with all H2O Bonefishing clients receiving reserved seating. 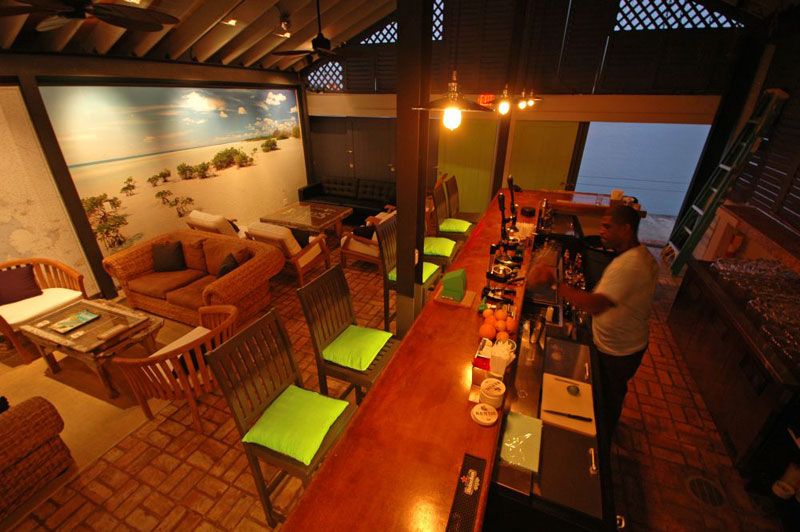 It will serve daily as an ‘ Apres Fish ‘ clubhouse for all our anglers to relax, swap stories and the usual shenanigans. 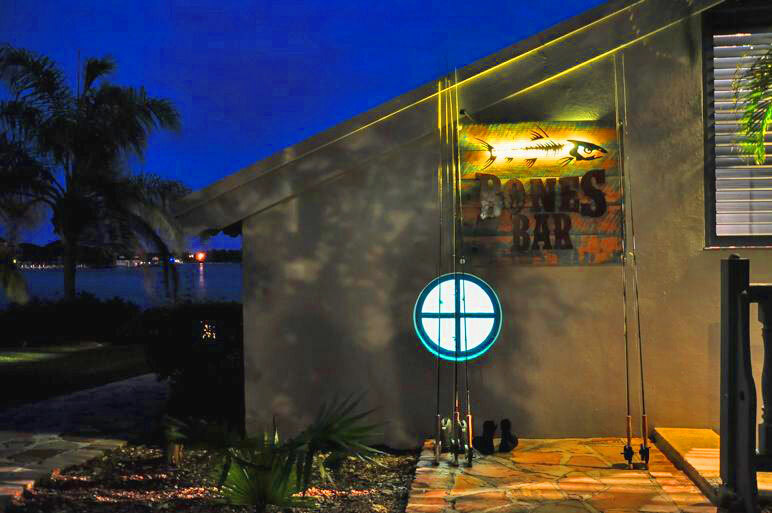 Please note that Bones provides all our anglers bringing their no angling wives a quality place to enjoy a few sundowner cocktails overlooking the bay. Also for Kids to enjoy the pool while parents can ‘ supervise ‘ from the bar. 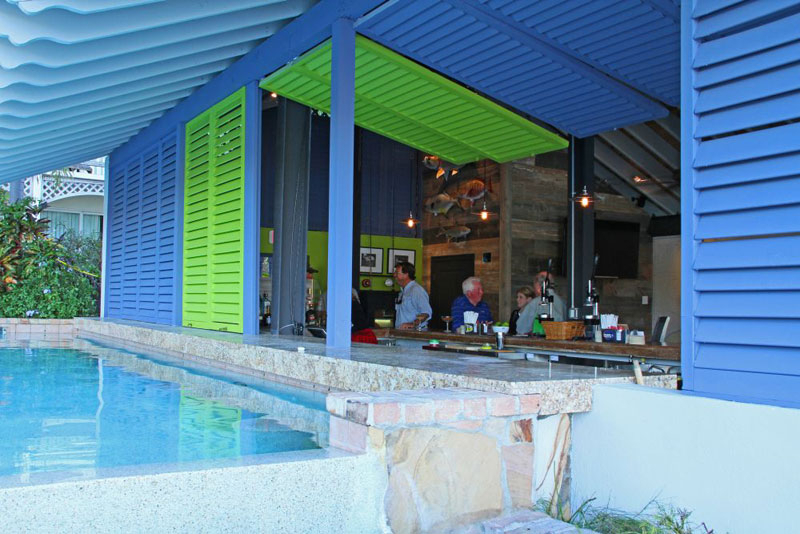 A swim up bar is also part of the clubhouse. Also available is an already expanding retail area selling a selection of fly rods, reels, fly lines, flies, leader, tippet, sun protection items ie Buffs, lip balm and sunscreen and of course clothing, mostly Shirts and hats. 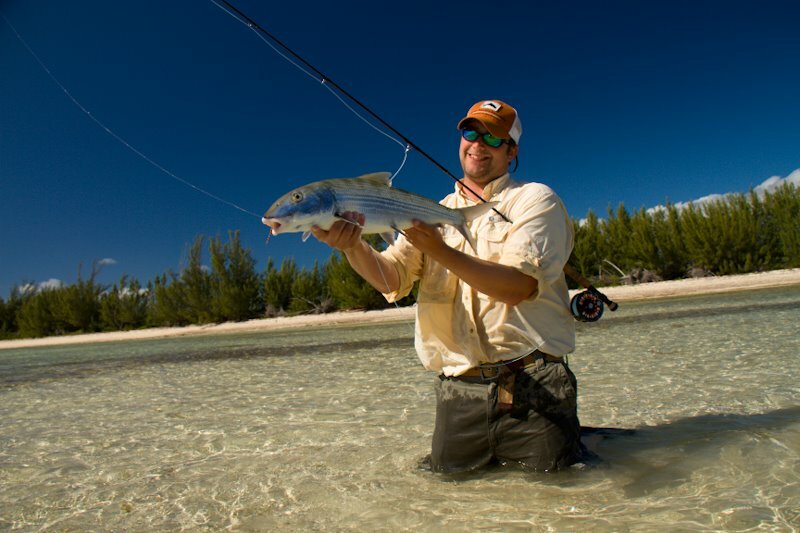 Grand Bahama Island is overlooked as a fly fishing destination mostly because it is well known for golf , diving and other recreational activites. This secret has benn a big advantage for those who do fish here as there is ver little pressure. The entire northern shore is virtually unihabited with mangrove, laggond and flats everywhere. 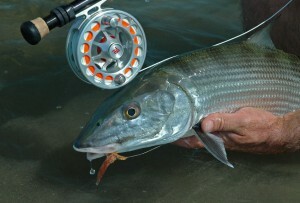 The bonefishing is exceptional with opportunities to cast at larger schools of bones with an average size of 4 to 6 pounds. 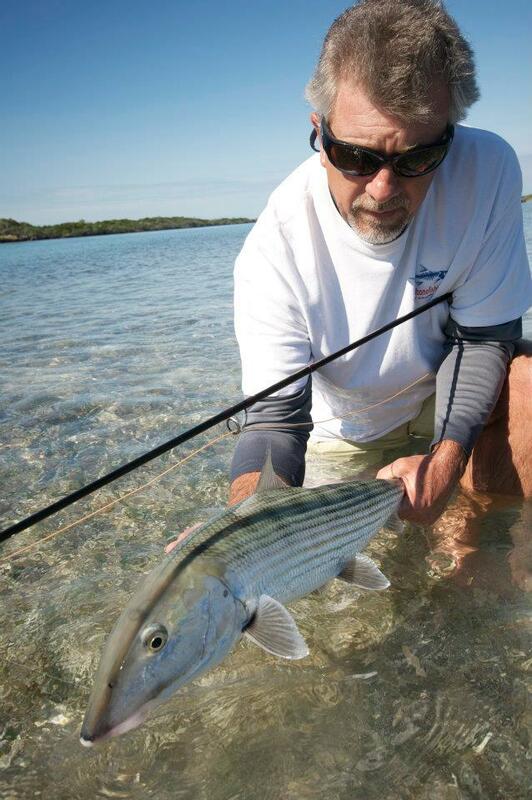 Smaller groups of cruising bonefish can give an angler shots at trophy sized bones. 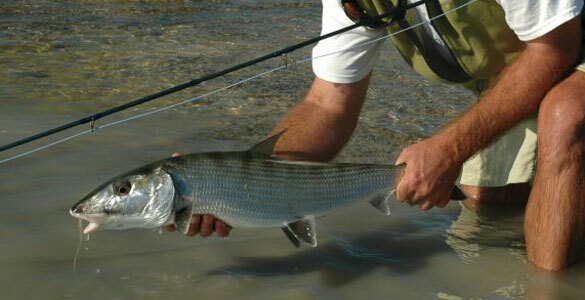 Our club record bonefish on fly tipped the scales at 14 1/2 pounds! 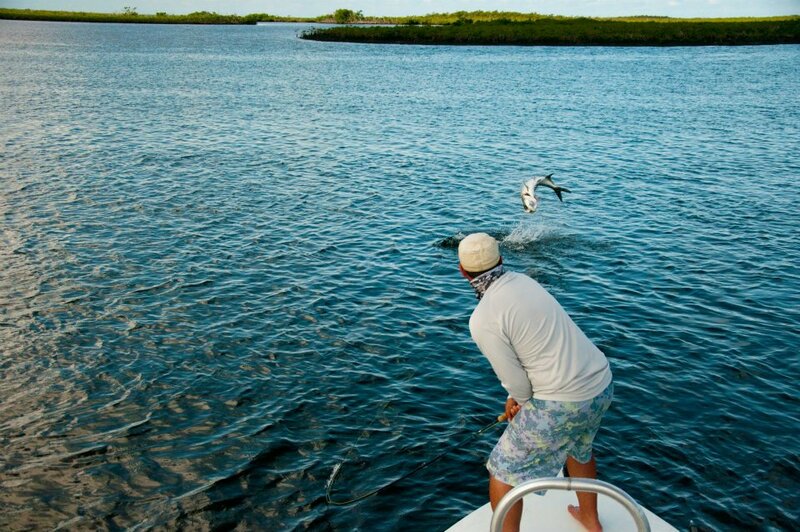 The island flats also hold a seasonal population of Permit and Tarpon. 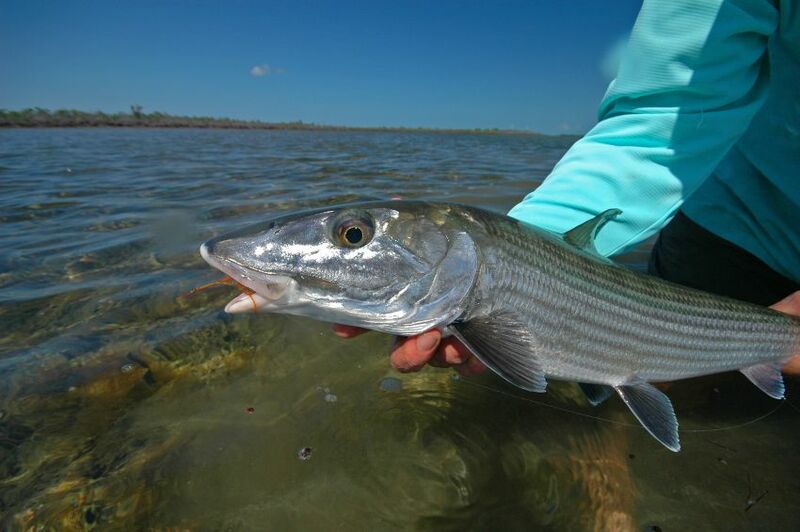 These fish arrive in the spring and stay on the flats until the fall. 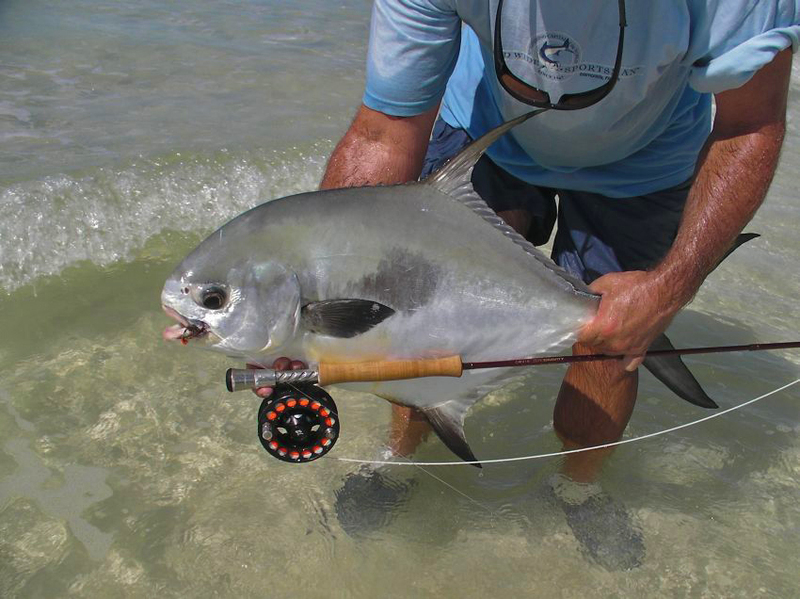 The clubs record for permit on the fly is 38- pounds. 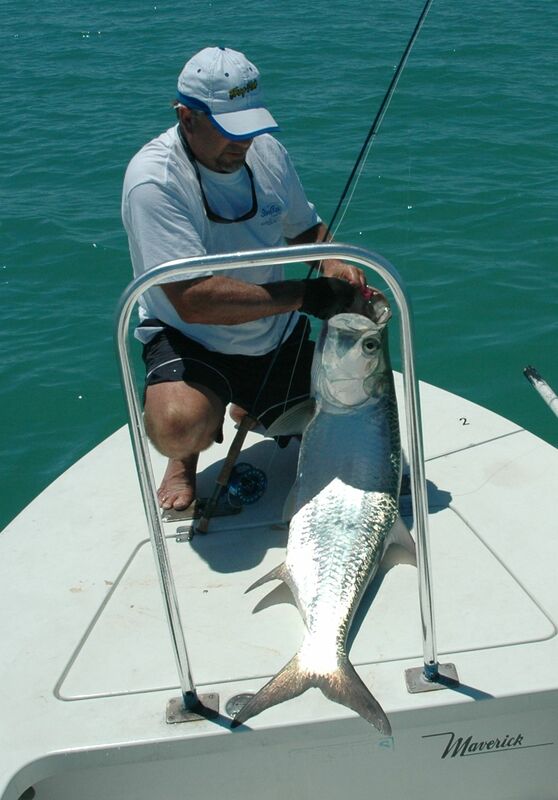 Our largest tarpon to date was estimated at 130- pounds. 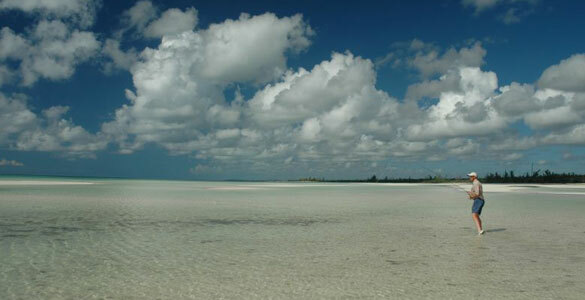 The vast northern shore of Grand Bahama is completely encompassed with mangrove shoreline. Over 100 miles East to West as the crow flies. 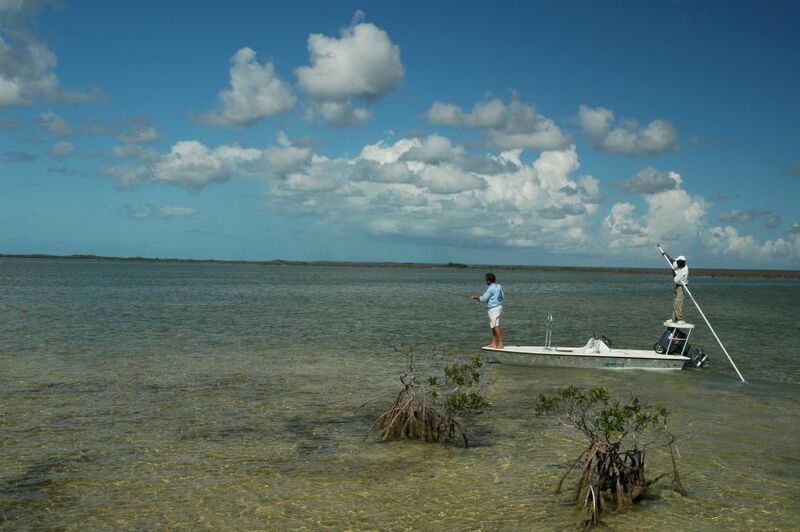 With the countless twists and turns on the mainland itself and including the many small keys it creates literally hundreds of miles of fishable shoreline and flats. On the edges of the mangrove shoreline lie the inner flats. 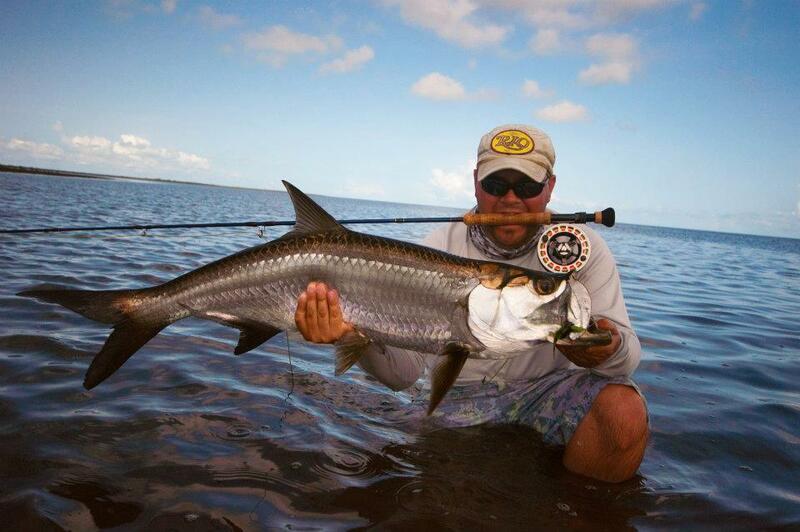 Always covered in water from a few inches to 3 feet these inner flats can make for spectacular fishing. The bottom structure varies from soft sand and grass flats to harder sand and marl flats which are ideal for those anglers wanting to wade. 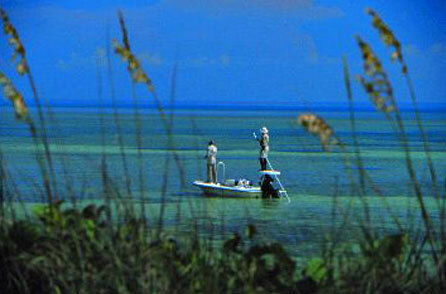 A short ride to the many outer keys rovides access to a different fishing environment. 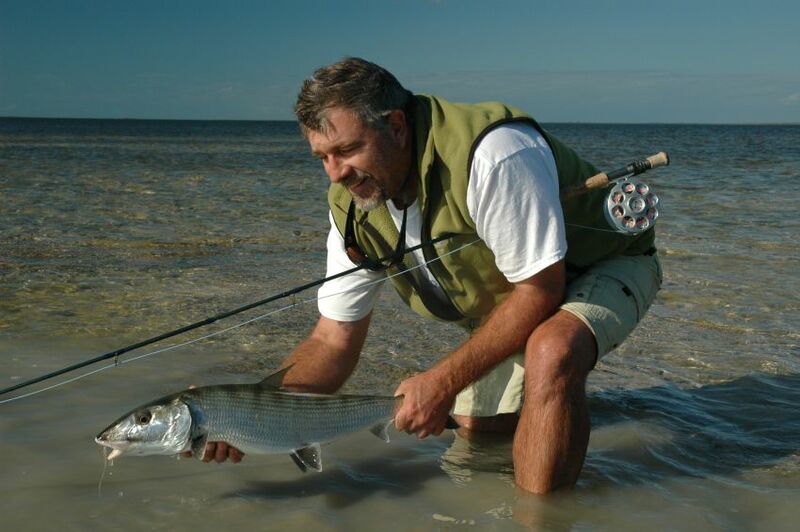 Bonefish are found in good numbers but due to their location adjacent to deeper water anglers may find Permit and Tarpon (in season) and barracuda. 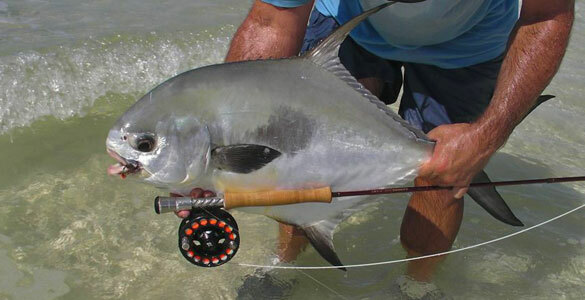 There are also packs of marauding horse eye jacks that average 10- to 15- pounds. When northerly winds become brisk the southern lee side of the island becomes a great option for bonefishing. 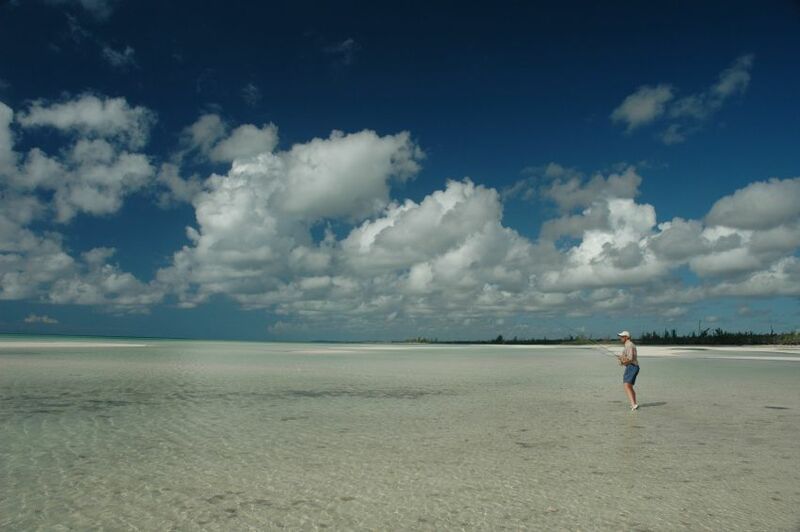 A short ride by boat opens up miles of white sand flats and reef fringe flats accessed by boat and more almost all wade friendly as the shore becomes glass clam and crystal clear. During the spring and summer permit also move onto these flats. 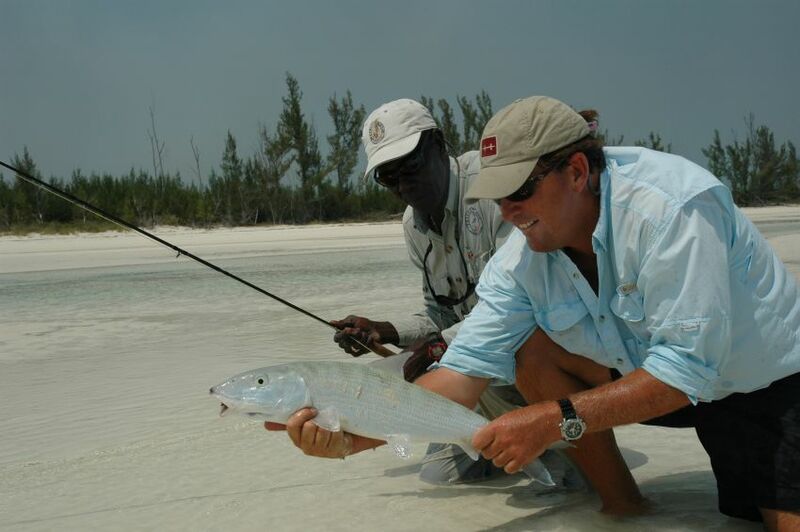 Pelican Bay’s team of professional fly fishing guides have a combined experience of over 50 years on the flats of Grand Bahama. They are year round true professionals who are on the water every month of the year. 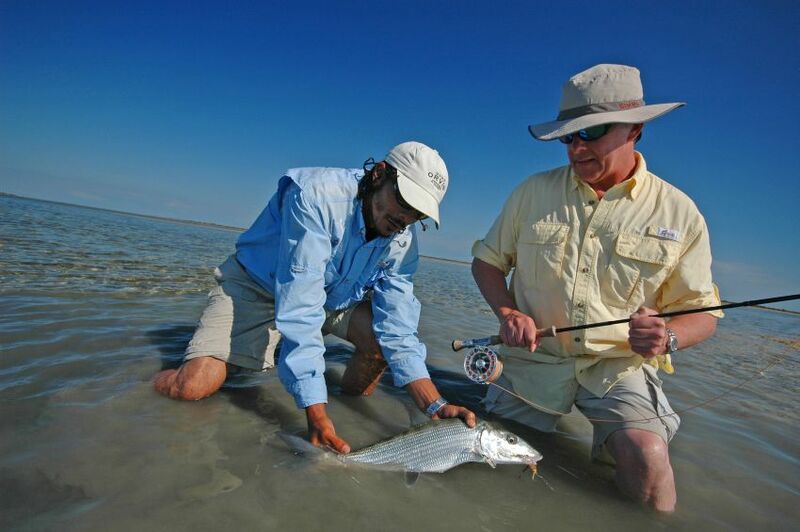 Instruction on the water during a days guiding as well as organized pre-trip evening fly fishing instruction is made available to any of our anglers wanting to get the most from their time spent here at Pelican Bay. 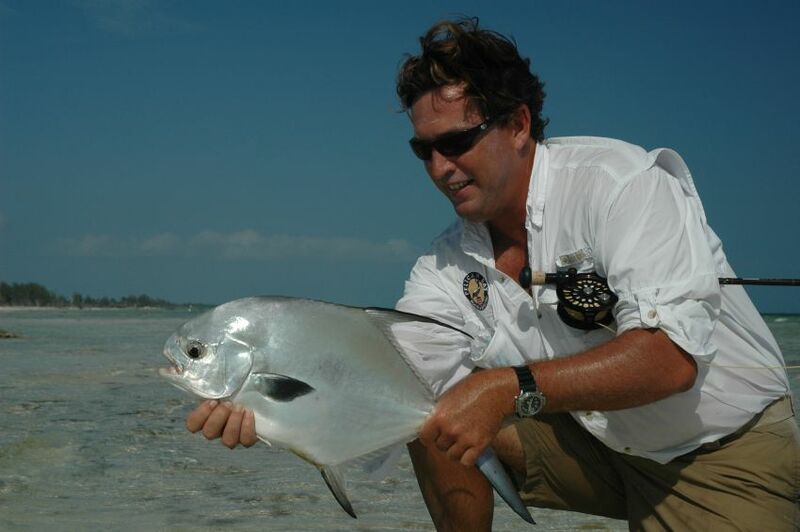 Also available for groups is a professionally organized and executed ‘Saltwater Fly Fishing School’ for beginners or those anglers looking for a more advanced level of instruction. 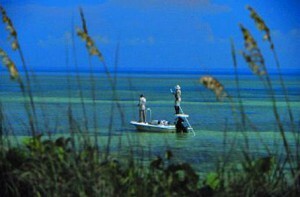 Each guide fishes from a well maintained 17- foot Maverick flats skiff outfitted with a 85 HP Yamaha outboard. The boats also have VHF radios, cell phone, trim tabs, poling platform and leaning post. 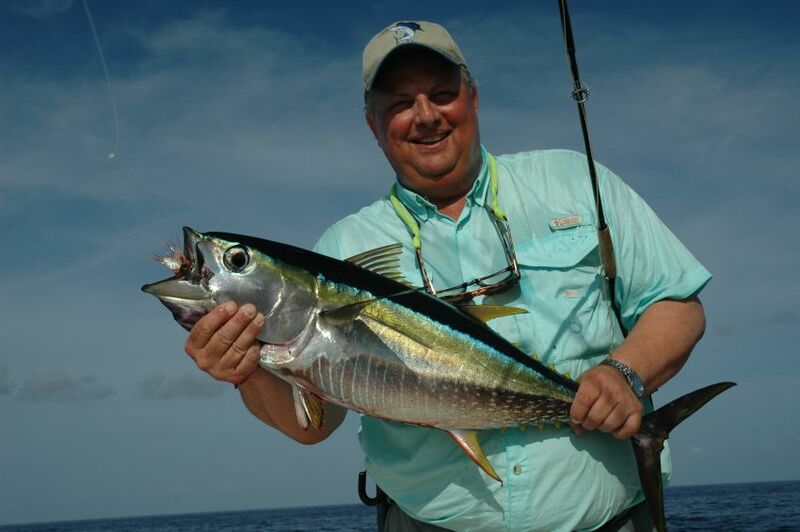 A unique new fishing program here at Pelican Bay is our deep sea fly fishing excursions for yellowfin tuna, skip jack tuna, blackfin tuna and dorado (mahi-mahi). 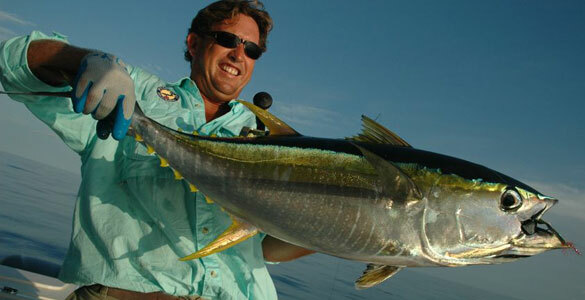 Schools of yellowfin tuna move into local waters in April and can be found offshore from Grand Bahama until September. 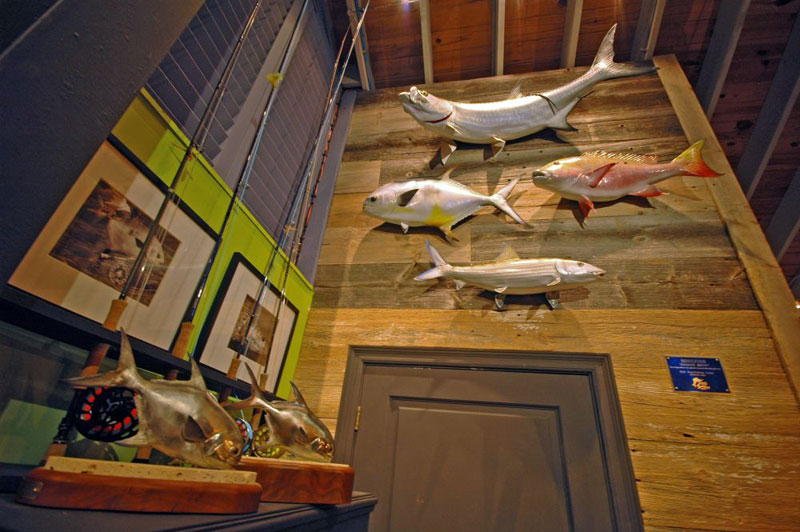 Yellowfin tuna average 15- to 25- pounds and have been landed up to 60- pounds. Most of our offshore fishing is done with floating fly lines. 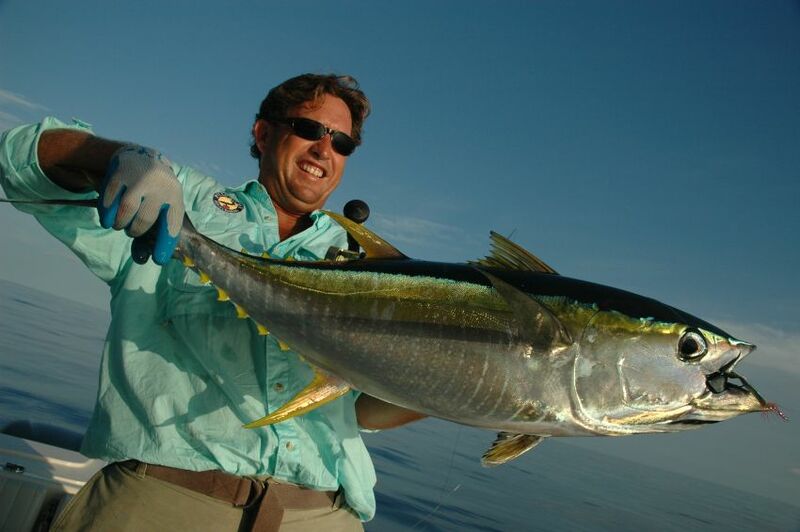 An appealing part of the fishing offshore is the the bite. It turns on early morning, late afternoon and early evening. 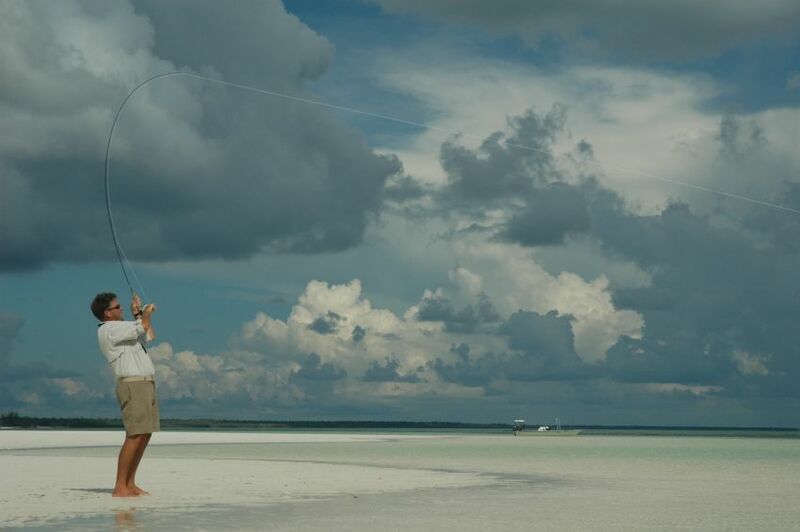 This allows our anglers to fish a full day on the flats and also have the option to experience the action offshore. Alternatively this type of trip is a great option for arrival and departure days. 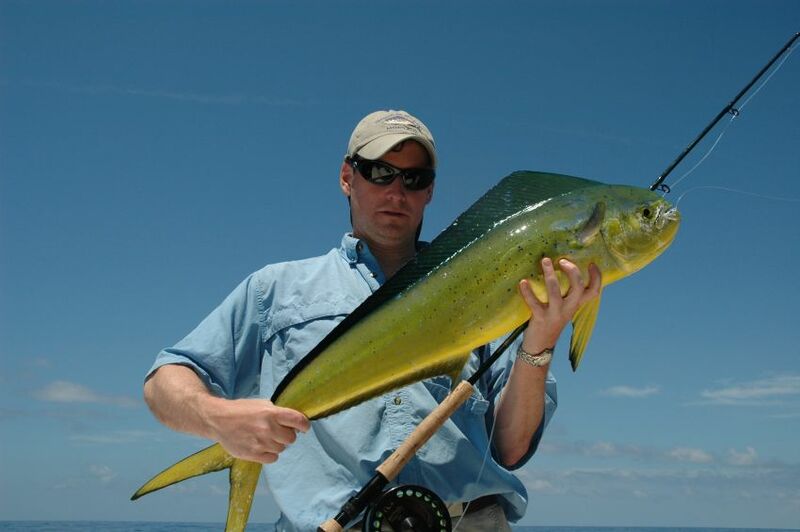 All fly fishing equipment is included in our offshore program. 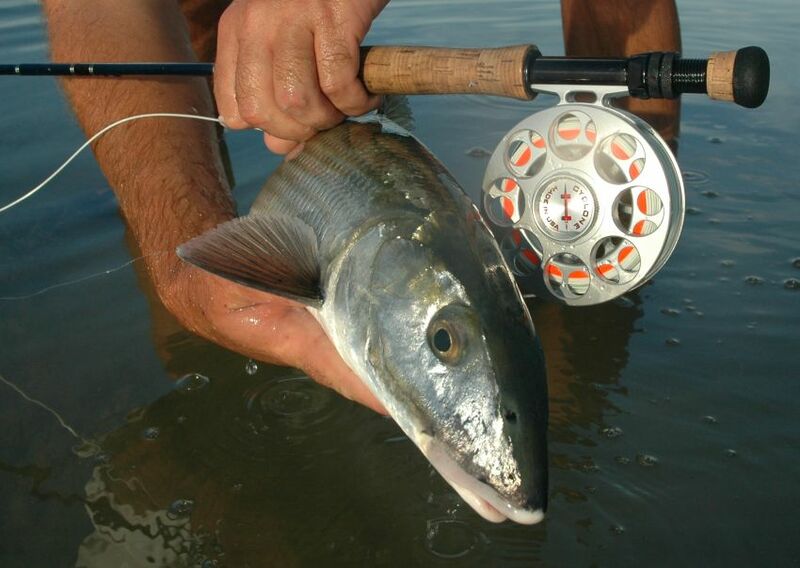 This means we provide all the specialty fly rods, reels, leaders and flies for these trips included in this package. Tie a few patterns with just the weight of the eyes as a variable 1 with lead eyes, 1 with chain, 1 with small chain, and 1 with no weight or mono eyes just to make sure you have flies for very skinny water all the way to waist deep water. Presentation seems to be much more important than fly selection. Weed guards will be a plus on the grass flats. 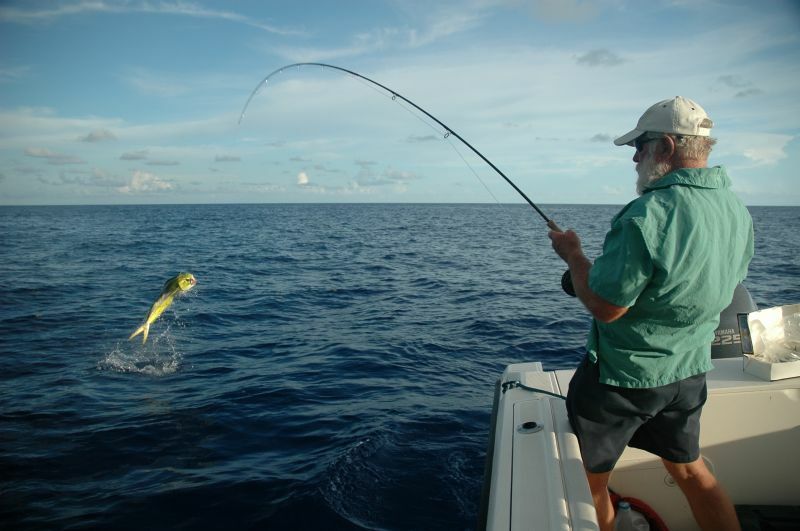 Low Season is between July 1 and September 30 (remember low season is the less traveled in the Bahamas, but I assure you the fishing actually peaks in the summer! Prices Include: Standard or Suite accommodations ( king or 2 double beds), breakfast and lunch daily, guided fishing each day, It includes soft drinks for breakfast and lunch, It also includes all taxes. Prices quoted are in US dollars and are per person. Please take a look at the photo and video galleries related to Grand Bahama Bonefishing – H2O Grand Bahama. H20BONEFISHING 2010-2011 from h2obonefishing on Vimeo. 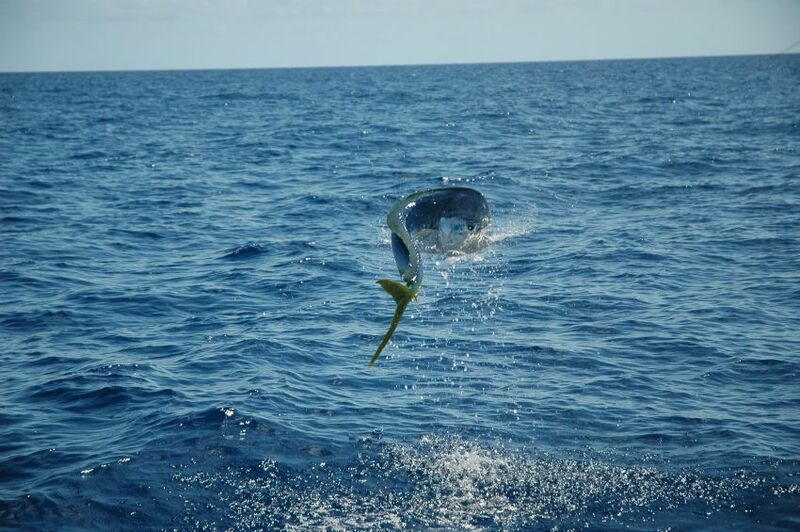 This trip is the top of the list when you need to get some world class fishing for you and some world class Caribbean beach vacation for your family. 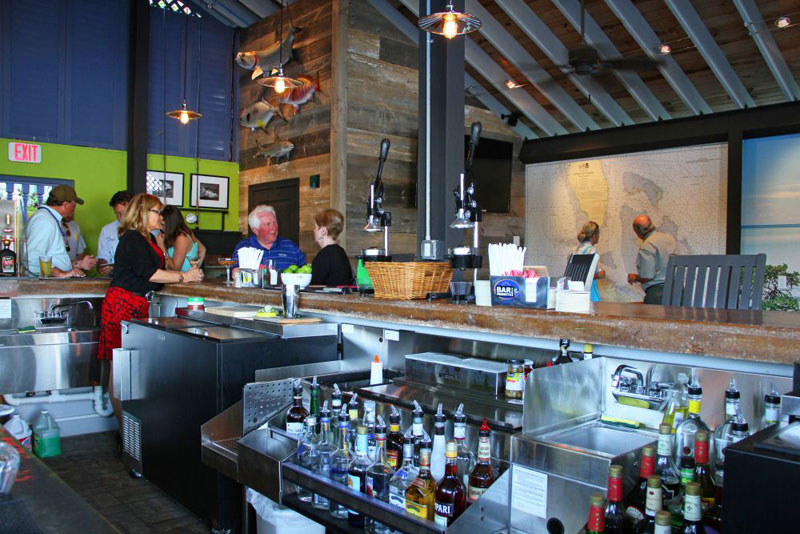 Located within steps of our resort are over 30 restaurants, including Sabor Restaurant and Bar and the Ferry House Restaurant, bars, shops, nightly live entertainment, the Dolphin Experience, scuba diving, snorkeling and deep-sea fishing. 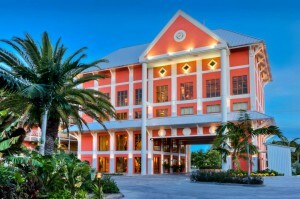 Immediately across the street are two miles of Grand Bahama’s white sand beach, a full service spa, all four “Grand Slam” surface tennis courts and a casino. Transportation to and from the airport is in the capable hands of our local partners. Taxi fare averages $22 each way for two persons, with an extra $3 per additional passenger. (Taxi pick-up is conveniently just outside the Customs Lounge.) Limousine service also is available at about $85 per trip for a party of two. US visitors staying for eight months or less need a return ticket plus a passport. 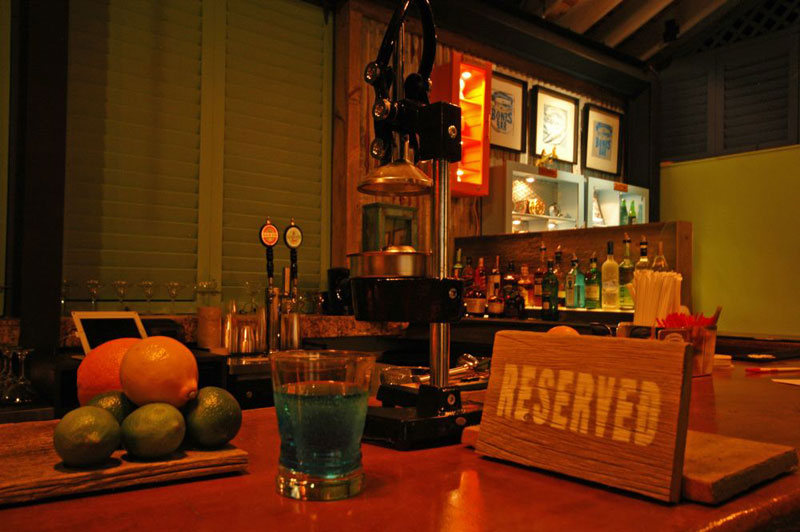 Green card holders require their green card and a valid passport from their place of birth. 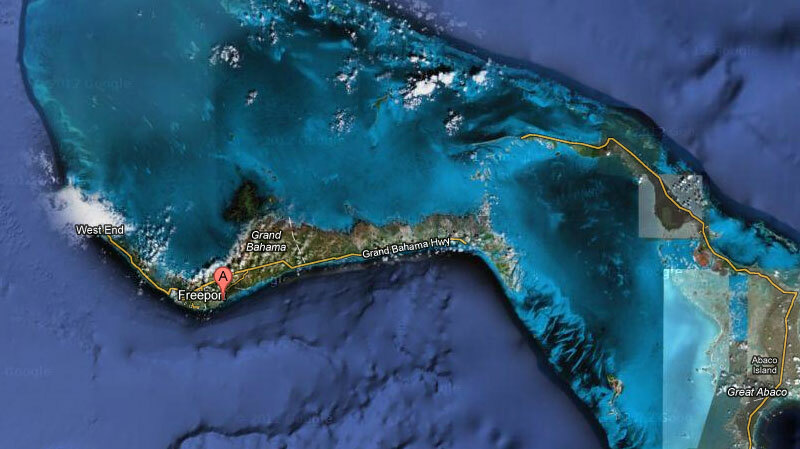 All US citizens are required to have a valid passport for entry in and out of the Bahamas. Canadian visitors not staying more than three weeks need the same identification as those do from the United States. Some visitors that are not citizens of the U.S.A. may also require a visa, check with your country’s consulate.